Don’t just play video games, make them! Calling all teen and tween gamers. 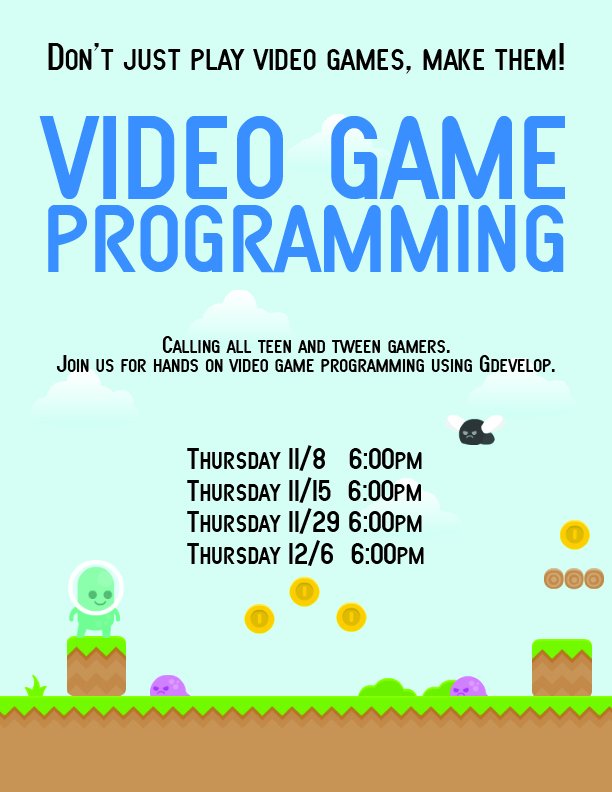 Join us for hands on video game programming using GDevelop.